It seems that summer temperatures keep getting hotter and hotter – a trend that hits you right in the wallet when it comes to getting your monthly energy bill. Some mistakes that homeowners make can add to the problem by reducing the efficiency of your air conditioning system. 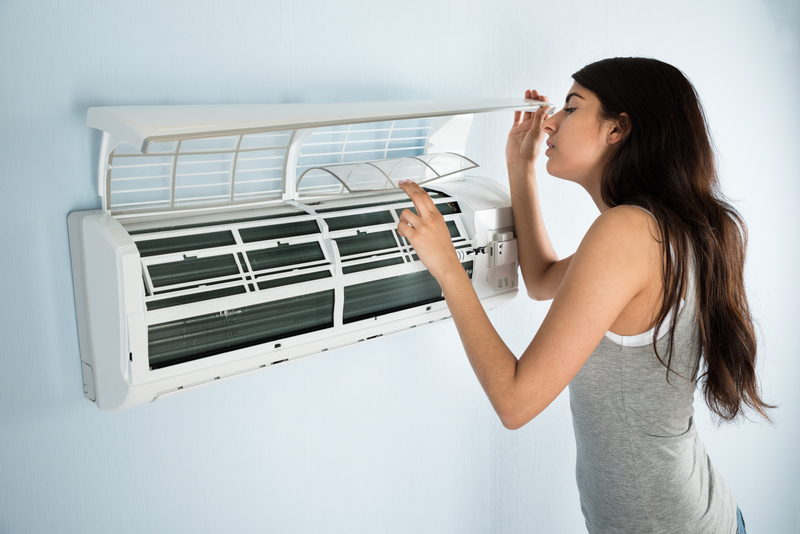 If your AC units are not constantly running and maintained properly, it can cause all kinds of issues including increasing health problems like allergies and asthma. At ADA Heating and Air, we want to prevent you from making some of these common mistakes when it comes to heating and cooling your home and maintaining your AC system. Your AC filter should be changed at least once every three months and more often if your system runs all the time. If you are not changing the filter, the dirty filter causes the air flow to be poor and can cause your evaporator coil to freeze up. A dirty air filter can add significant costs to your bill. They can also cause allergens and microorganisms to be circulating in your home. Fortunately, filters are very inexpensive, and typically run less than ten dollars a piece. It is recommended that you have your heating and cooling system checked at least once a year. This ensures that your unit’s fins and coils are cleaned and working properly. This helps to avoid discovering a problem on one of those hot summer days when your AC is crucial. Contact us to schedule your next service check. A programmable thermostat allows you to set designated temperature settings for different times of the day. For instance, changing the temperature setting when you leave the house each morning for work and then again when you are to arrive home. This allows you to reduce the usage of your unit and lower your energy bill. You can cut up to 3 percent off of your bill for every temperature degree you change the settings. The use of ceiling fans in your home will help to circulate cooler air through your house, thus conserving energy. Each fan should be set to rotate counterclockwise during the summer months for optimal circulation. The usage of the fans will alleviate some of the work your AC system has to do on those hot summer days. It is not advisable to block air vents with furniture, curtains or anything else. Blocking vents limits air circulation, causing your unit to work harder. You will also want to close vents to empty rooms that don’t need to be kept as cool, and close closet doors. Window treatments are not just for looks, they play an important role in light and temperature control in the home. Intense sunlight is not a friend to your air conditioner. By installing curtains, drapes or blinds to control entering sunlight you are also helping to keep your home cooler. When it comes to heating and cooling your home or AC maintenance, our professionals at ADA Heating and Air can help you keep cool. We proudly service all of Central Kentucky, including Danville, Winchester, Nicholasville, Stanford, Versailles, Lancaster, Harrodsburg, Lexington and the surrounding areas.